Justice Minister Jody Wilson-Raybould says the Liberal government will back a bill that calls for the full implementation of the United Nations Declaration on the Rights of Indigenous Peoples (UNDRIP), a move that could have wide-ranging consequences in Canadian law. 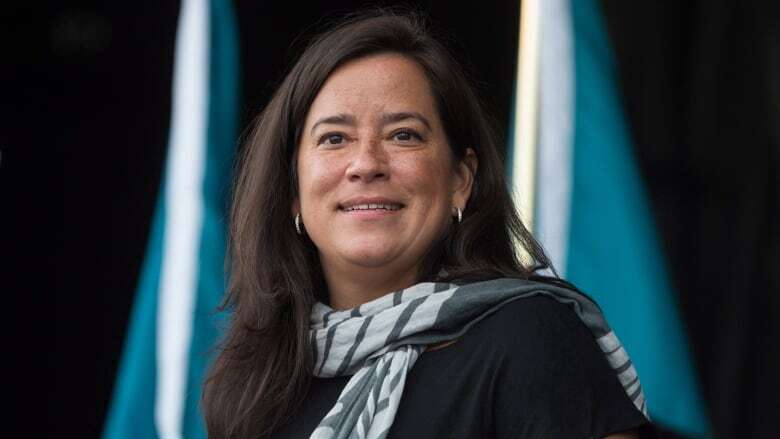 Justice Minister Jody Wilson-Raybould says the Liberal government will back a bill that calls for full implementation of the United Nations Declaration on the Rights of Indigenous Peoples (UNDRIP), a move that could have wide-ranging consequences in Canadian law. Speaking in Gatineau, Que., late Monday at an event commemorating UNDRIP, the Vancouver-area minister said the Liberals are now prepared to support an NDP private member's bill that would force the government's hand to implement all provisions of the declaration — something the government has been loath to do in the past. "With the direction and leadership of Prime Minister Justin Trudeau, our government will support Bill C-262. The bill acknowledges the application of the UN declaration in Canada and calls for the alignment of the laws of Canada with the UN declaration," Wilson-Raybould said. "This step alone, however, will not accomplish the full implementation of UNDRIP. A comprehensive approach, one that our government is committed to, will require other appropriate measures." 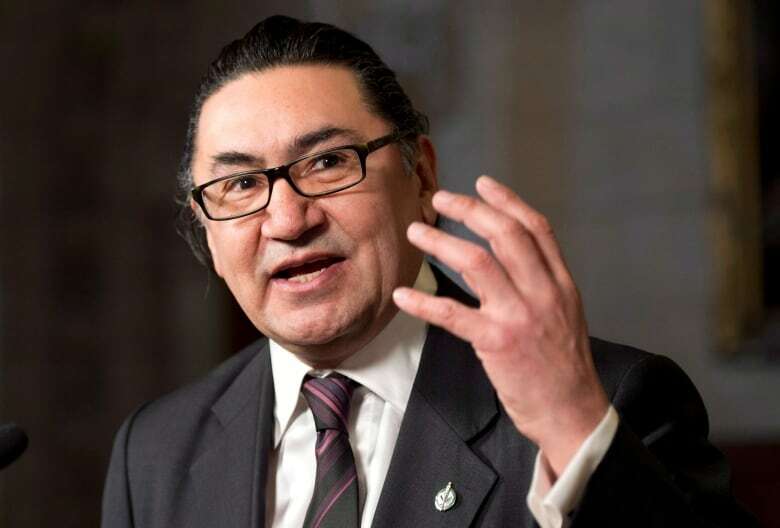 Bill C-262, sponsored by MP Romeo Saganash — who was also part of an international team that helped craft the declaration — would ensure all Canadian laws are consistent with UNDRIP and calls for the creation of a "national action plan" to ensure implementation across jurisdictions. Amnesty International, a human rights group, has called UNDRIP "a crucial framework to achieve reconciliation," in Canada and recently criticized the government — on the 10th anniversary of the declaration's passage at the UN General Assembly — for not yet introducing legislation that would implement its provisions. In August, the United Nations' top anti-racism body, the UN Committee on the Elimination of Racial Discrimination, urged Canada to adopt a legislative framework in keeping with provisions of the UN declaration. Importantly, UNDRIP recognizes the rights of Indigenous peoples to be free from racial discrimination, the right to self-determination and autonomy with regard to their "internal and local affairs," the right to financial compensation for confiscated lands, and demands states obtain "free, prior and informed consent" before approving activity — including natural resources extraction — on Indigenous land. Indigenous activists have long pointed to UNDRIP as a means to oppose pipeline development that would run through traditional territory. UNDRIP also calls on governments to guard against any act of genocide, which includes "forcibly removing children of the group to another group." On the child welfare front, the Liberals have acknowledged there is still much work to do as there are now more First Nations children in state care than at the height of the residential school era. Assembly of First Nations National Chief Perry Bellegarde welcomed the government's support of the legislation Tuesday while vowing to work with parliamentarians to make possible changes to its text. "Giving life to the UN declaration in Canadian law will build a stronger country … First Nations are looking forward to their opportunity to provide input and comment on the bill as it works its way through the parliamentary process. I do want to acknowledge and lift up MP Romeo Saganash for his determination, perseverance and strong stand for our peoples and our rights." While the Liberal government has previously endorsed parts of UNDRIP, Wilson-Raybould has been skeptical about its application in Canadian law. In an address to the Assembly of First Nations (AFN) general assembly in the summer of 2016, the justice minister called UNDRIP "unworkable." The comment raised the eyebrows of some observers, who wondered if this was a sign the government was shying away from its pledge to implement the declaration. She later sought to clarify that remark, insisting the government is committed to making UNDRIP work within a uniquely Canadian context. "It is no longer a question of if we are going to do it. We certainly are, it is more a question of how we are going to implement it here in Canada," she said. Accepting Bill C-262, which is currently at second reading in the House of Commons, is just one effort of the government to re-write Canadian law to address the needs of Indigenous peoples. Indeed, in February, the prime minister announced the creation of a "working group" of ministers to review all federal laws and policies as they relate to Indigenous peoples in a push to "de-colonize" the country's legal framework. The full implementation of UNDRIP, as called for by Saganash's bill, will now fall to these ministers. Adopting and implementing the UN declaration are also among the 94 calls to action presented last year by the Truth and Reconciliation Commission. The Liberal government committed to implementing all recommendations from the commission, which spent six years probing Canada's dark residential school legacy.